If you follow Cal State Omaha on social media, you already saw that Long Beach State head coach Troy Buckley was fired on Thursday. Many speculated the Dirtbags dreadful win-loss record was the main reason since Long Beach was 5-26 prior to Buckley’s firing. His firing comes two years removed from almost advancing to the College World Series in 2017 and was granted a contract extension through 2022. According to Transparent California, Buckley’s compensation per year was over $190,000 per year not including benefits. By comparison, according to the same source, Rick Vanderhook‘s yearly compensation reported in 2018 was just north of $175,000 not including benefits. Many would think when a coach is fired for performance or lack there of, the athletic department needs to come up with a big fat check to make that coach go away. But what if the termination was not performance based but rather on “good cause” due to the employee’s behavior? Something like sexual harassment or workplace violence? A fever or body aches are usually symptoms of a much larger problem like contracting the flu. Same could be said for a losing record and poor performing players on the field are usually symptoms of a much large problem that a coach has lost his team. 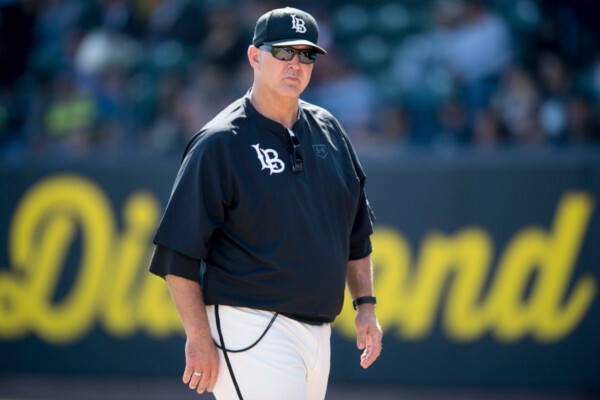 The Dirtbags overall record of 5-26 headed into the weekend series vs. Cal State Northridge prior to Buckley’s firing may have been a warning sign that something was rotten in Long Beach. Now reports are coming out that is was more than just poor play on the field. Long Beach State head coach Troy Buckley walks to the dugout during the Dirtbags’ 10-9 loss to Cal State Fullerton in their regular season finale at Blair Field in Long Beach on Saturday, May 26, 2018. In the absence of Troy Buckley, associate head coach Greg Bergeron and pitching coach Dan Ricabal will share head coaching duties for the duration of the season. It should be noted that both Bergeron and Ricabal have Titan ties. Bergeron was an assistant coach for the Titans under the Dave Serrano regime and Ricabal was a pitcher for the Titans in the early 1990’s. Numerous rumors are swirling that Dave Serrano is the leader right now to get the Long Beach State job. 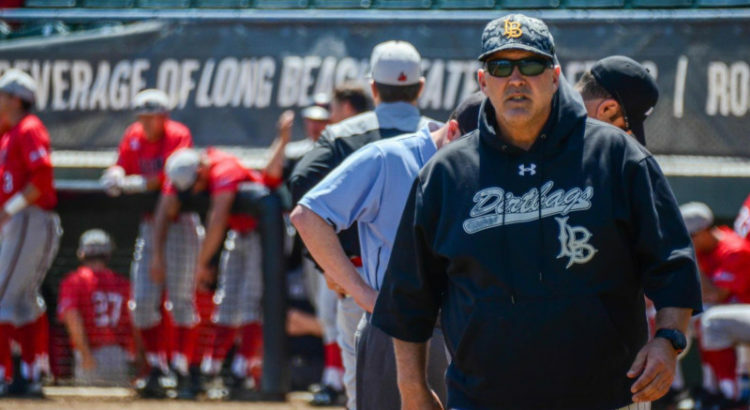 Serrano is currently a writer and contributor to Baseball America and if hired, would be the head man for three different Big West Conference teams after coaching UC Irvine, Cal State Fullerton and Long Beach State if his hiring comes to fruition.